Energy management system in a microgrid with uncertainties in load, renewable generation and market price is critical for stable operation of the microgrid. Scenario-based robust energy management exploiting upper and lower bounds is used to deal with the uncertainties. Taguchi’s orthogonal array method is used to reduce the large number of scenarios, considering all the possible combinations of max and min values of loads and renewable generations. In this study, uncertainty of market price is handled by robust optimization method, and worst case scenario with the maximum total cost is defined as the output result. Furthermore, demand response program is also considered for the flexible loads, which help the microgrid to operate robustly with a lower cost, in the presence of the uncertainties. 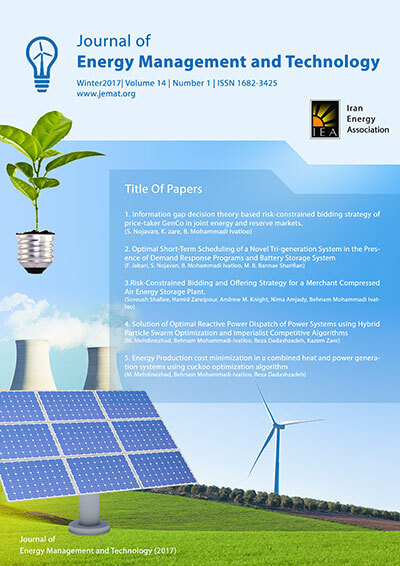 In this study, two cases with typical microgrids are considered to evaluate the effectiveness of the proposed method, and GAMS tool is used for implementation of simulations. Additionally, Monte Carlo simulation is applied for verifying the effectiveness of the method.